Our guest today has an amazing story of creativity threaded throughout her entire life. 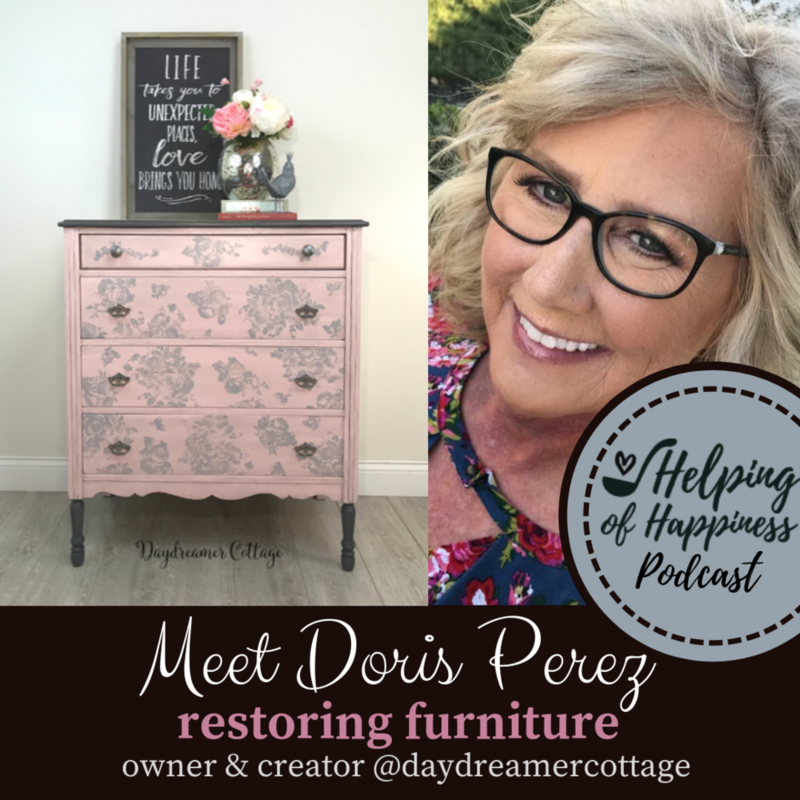 Hear the background of how she came to starting a new chapter of her life, creating a furniture restoration business when she was 60!! Doris has been married for 27 years, has two daughters and one grandchild. 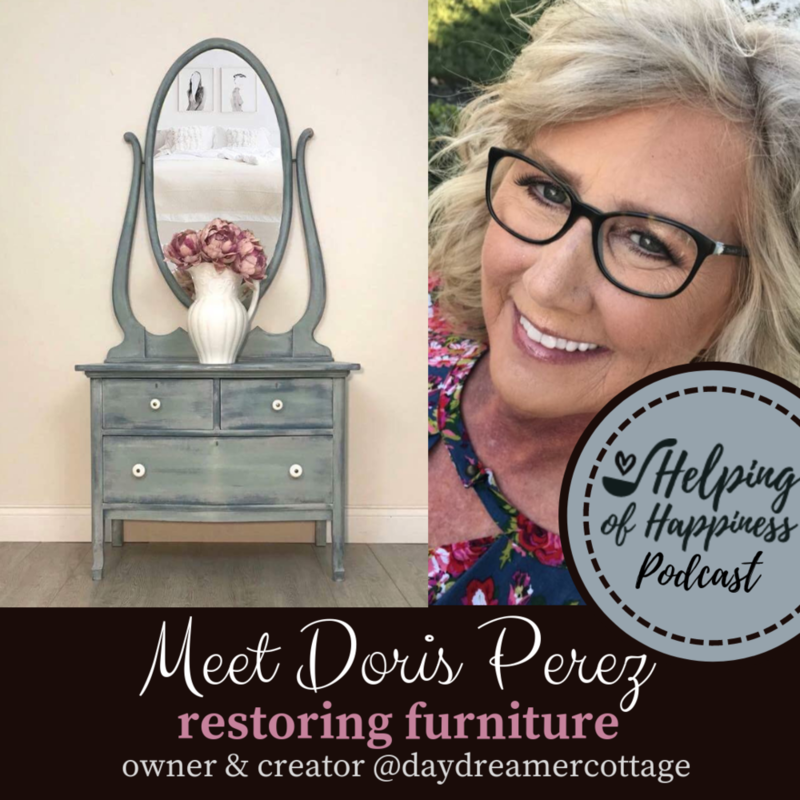 She lives in South Texas and runs Day Dreamer Cottage- a furniture restoration business. 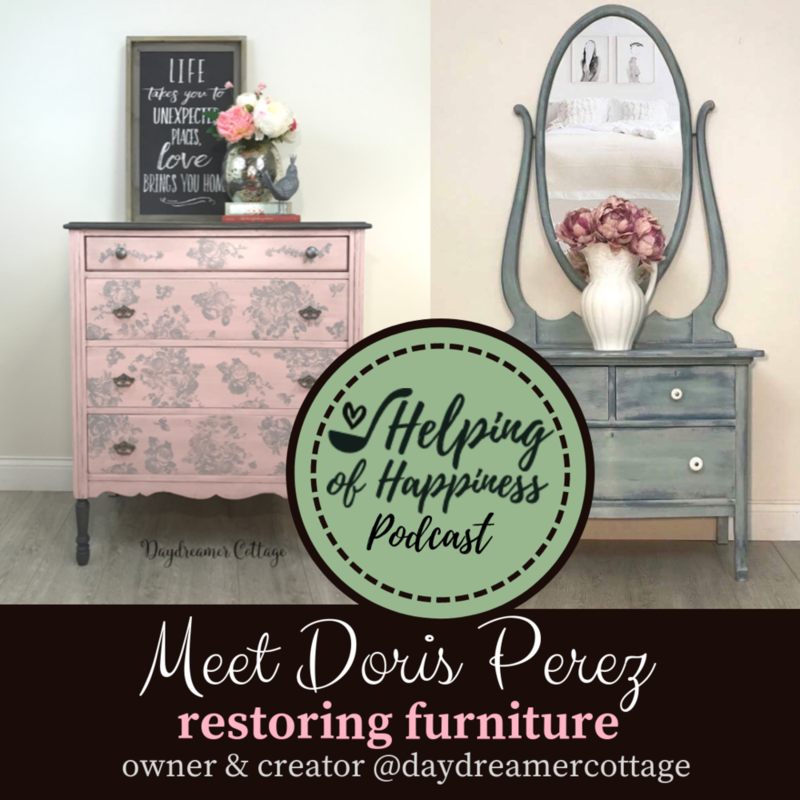 Listen to her incredible life and learn some furniture restoration tips while you’re at it.